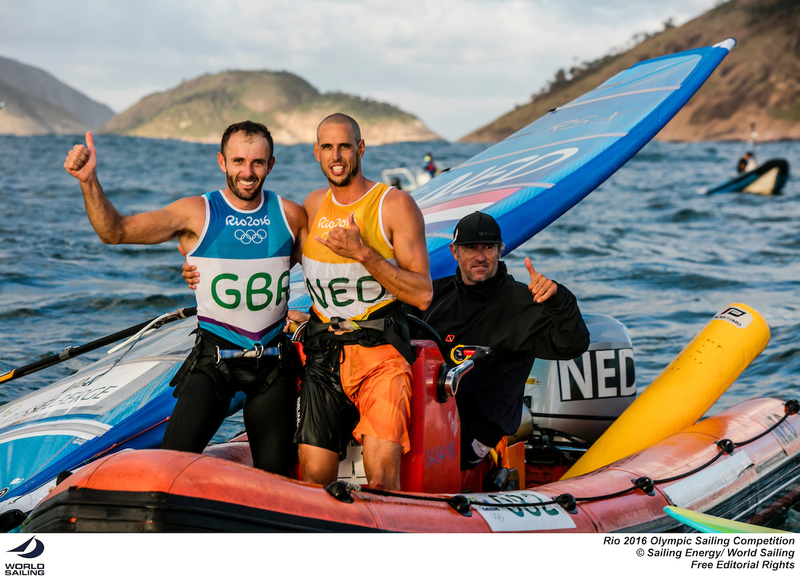 Van Rijsselberghe and Dempsey claim first Rio 2016 Olympic sailing medals Dorian van Rijsselberghe (NED) has won the gold medal in the Men’s Windsurfer (RS:X) and Nick Dempsey (GBR) has won the silver, both without having to contest the Medal Race on Sunday. 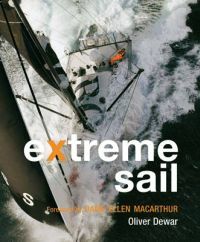 Dorian van Rijsselberge wins the gold medal in RSX: men . It’s a carbon copy repeat of London 2012 when the Dutchman took gold ahead of the Briton four years ago. 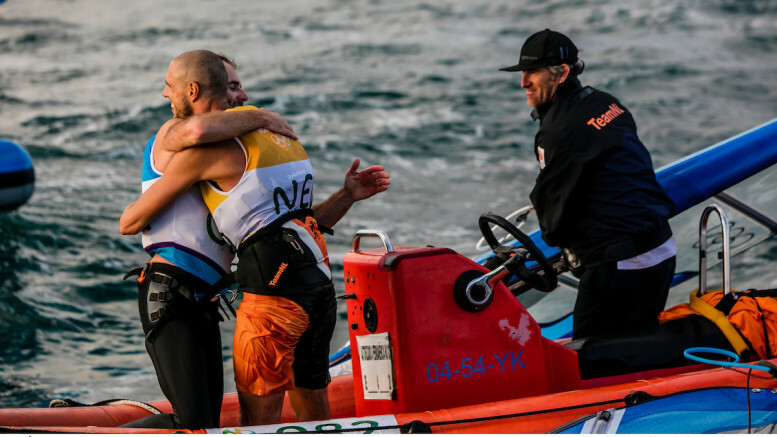 The result is subject to protest, and both sailors will still have to sail the Medal Race, but van Rijsselberghe and Dempsey were already congratulating each other after crossing the finish line of the 12th race of their series. These two athletes have dominated the Olympic competition, with van Rijsselberghe winning seven of the 12 races and Dempsey winning three. Sunday’s battle for bronze will still be close fought between Poland, France and Greece.